With a great selection of Designer Series Paper, Ribbons galore and more, it's hard to stay on a budget. We want it all and we want it all now! I've received several requests for product shares, so here you go! 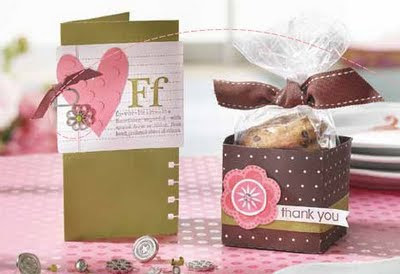 PRODUCT SHARES are a great way to get a variety of new product samples at a fraction of the cost. Please keep in mind: product ships when the club size is met (so tell your friends); and shipping can be combined! This share includes all DSP packs from pages 160-163 with the exception of Patterns DSP on pg 161. 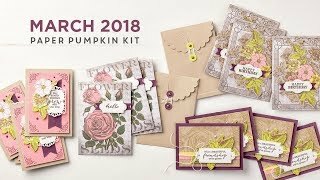 You will receive 105 - 6" x 6" designer series paper sheets from 18 packs (1 sheet each of the 6 double-sided designs per pack), plus the an assortment of the die cut sheets from "The Write Stuff" Specialty Designer Series Paper. This share includes only the Patterns DSP on pg 161. You will receive 84 - 6" x 6" designer series paper sheets, 1 each of the six double-sided designs from the 14 packs. Yes - shipping can be combined when you purchase multiple shares. POLKADOT RIBBON SHARE: ($15.00, $5 shipping) Club size: 4 Crafters This share includes 3 yards each of the 1/2" Poka-Dot Grosgrain Ribbon in all of the new In Colors (Rich Razzleberry, Bermuda Bay, Soft Suede, Crushed Curry, Dusty Durango, and Melon Mambo) and 2 yards of the Red. Total of 20 yards! You'll get 2 yards of each of these ribbons. Total of 12 yards! You'll get 3 yards of all 19 colors! Total of 57 yards! You'll get 3 yards or each of these9 colors. Total of 27 yards! You'll get 2 yards of each color of Taffeta and 3 yards of the Organza and Satin. You can dye the white ribbons any color you wish so don't just think White, think Possibilities! HODGEPODGE HARDWARE SHARE ($15.00; $5.00 shipping) These pieces coordinate with many punches. You will get 2 ea. of both Vanilla & Silver elements, plus 20 of each brad. 80 pieces total. HOW TO ORDER:Sign Up for my Newsletter and More (the more being the shares you want to be a part of) or Email me. Be sure to include your name, shipping address, phone number(s), and a choose the shares you would like to be a part of. I will then email you a PayPal invoice. Once I receive your PayPal payment confirmation, I'll add your name to the appropriate share lists. 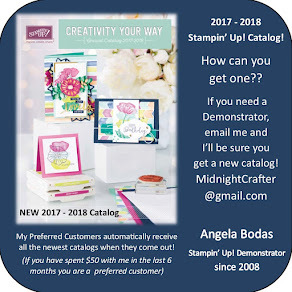 My order to Stampin' Up! will be placed when groups of are eight are filled for Designer Series Paper. For Ribbon, groups of five. Please note: back orders and shipping times from Stampin' Up! to me are out of my control. As soon as I receive the product, I will cut, sort, and mail out as efficiently as possible. Contact me for a quote on multiple shares, but if it will all fit in a flat rate box, you only have to pay the one flat rate fee ($5.00).